Quinnipiac University's NAMI chapter handed out materials on mental health services. As anxiety and depression among college students soars, universities in Connecticut and nationally are expanding their mental health counseling, even offering courses that address mental well-being. A new national report from the Center for Collegiate Mental Health at Penn State found that anxiety and depression were the top concerns of students seeking counseling services, and that self-harm behaviors have risen for the seventh year in a row. In another survey, 57 percent of directors of college counseling services said the severity of student mental health concerns increased between 2015 and 2016. And according to a National College Health Assessment (NCHA) survey, 9.1 percent of college students reported being diagnosed in the last year with a psychiatric condition. “We have seen an increase this fall compared to last fall of almost 30 percent in students requesting to be seen by our counseling service,” said Kerry Patton, director of health and wellness at Quinnipiac University. Over the last few years, anxiety has surpassed depression as the most common reason students at Quinnipiac are seeking counseling services. At the University of Connecticut, the number of students that have visited counseling services nearly doubled in the last year, jumping from 1,563 in the 2015-2016 term to 2,831 in the 2016-2017 term. “We are a very popular office,” said Elizabeth J. Cracco, Ph.D., the director of counseling and mental health services at UConn. Mental illness can be especially challenging for college students, who are suddenly on their own and often far away from their support system of family and friends. It can affect not only their well-being and their social life, but their academics. According to the NCHA study, 24 percent of students reported that anxiety affected their academic performance, leading to a lower grade on an exam or project or for the entire course, or receiving an incomplete or dropping the course completely. Mental health experts have pointed to a number of factors that may be causing the uptick in mental health issues, with social media use and overprotective parenting high on the list. “There is a theory that the amount of time students are spending with technology and reduced amount of time with peers hanging out has increased the amount of anxiety they’re experiencing,” said Cracco. Social anxiety is the top type of anxiety that UConn students report. 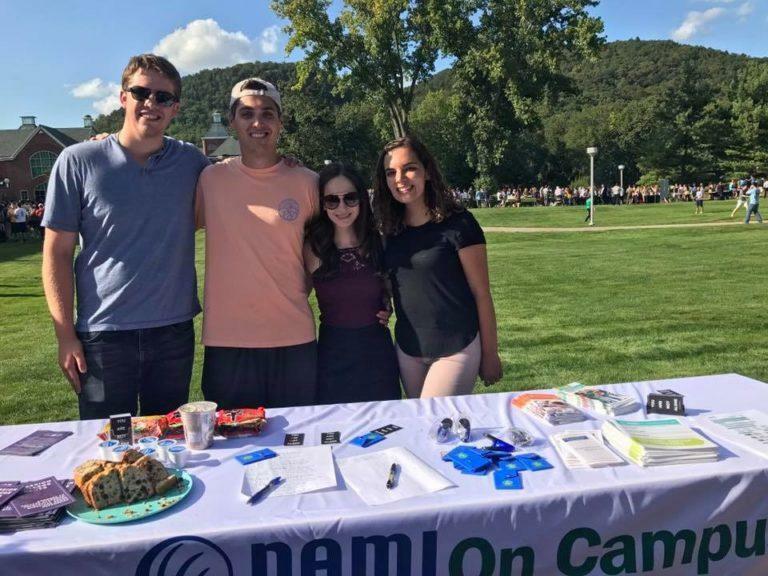 “Social media has become another way of being excluded,” said Peter Chlebogiannis, a student at Quinnipiac, who formed a National Alliance of Mental Illness (NAMI) club on campus. “Students struggle because they feel socially obligated to go out and post pictures of themselves on Instagram, and that pressure can be intense,” he said. During her first semester at the University of Connecticut, Kate Sanders, 21, of Farmington, barely left her dorm room. Though she had suffered from anxiety and depression in high school, it had been under control. But the transition to a large college knocked her off her feet. “I basically had a resurgence of horrible anxiety and depression. I didn’t have my high school friendships to fall back on, and it was hard for me to form new relationships,” she said. Her depression and anxiety began to lift second semester, with the help of an on-campus job, which forced her to leave her dorm room, and accommodations from her professors. Social media also exacerbated Sander’s loneliness. “I think a lot of people make it look like they’re never lonely on social media,” she said. That made her wonder why she was the only one not adjusting well. Experts are also finding that in general students are less resilient than past generations. They are less able to cope with disappointments, manage stressors like the workload, or cope with change. Compounding that problem are the increasing academic pressures. “There’s a lot of pressure at the university level to perform at their best, to compete in an environment where so many other kids are perceived as being smarter or having greater opportunities than them,” said Marc Brackett, Ph.D., director, Yale Center for Emotional Intelligence. “The juxtaposition of the pressure to succeed, which seems to be greater and greater, coupled with being socially isolated because of technology, is hurting students,” he said. That led Yale psychology professor Laurie Santos to create a course called Psychology and the Good Life, which this fall had 1,200 students or nearly one-quarter of Yale undergrads enrolled. “As a professor and head of college here, I learned that college students are often more stressed out and anxious than people think,” said Santos. “I wanted to develop a course that could teach students concrete strategies on how to be a little happier and less stressed.” The course, called “The Science of Well Being,” is available online at Coursera, Yale announced. In fact, many students suffering from mental health issues don’t get the help they need. A 2014 study of Yale Law School students found that only 50 percent of students who considered seeking clinical treatment for mental health issues followed through. Common reasons for not seeking treatment were distrust of Yale Health’s quality of service, excessive wait times, confidentiality policies, as well as general distrust of the value of therapy. Cultural and family values can also make students hesitate to seek help. “I know students who worry about disappointing their parents or convince themselves that they’re being dramatic,” said Chlebogiannis. For the students who do seek help, many colleges do not have enough resources to handle the caseload. About 42 percent of college counseling center directors say they increased the number of full-time staff between 2015 and 2016. Still many centers don’t offer psychiatric services on campus. According to the survey, only 64 percent said they did, up from 55 percent the year before. The majority of directors said their number of psychiatric hours available for students did not meet the needs of students. “We’re always able to address emergencies, but sometimes that could cause wait lists for non-emergencies,” says Quinnipiac’s Patton. Wait time could be up to two weeks. At Fairfield University, there are six full-time mental health clinicians, three part-time clinicians and two part-time psychiatrists for a student population of 4,000. “We want to make sure students can make an appointment and not have a long wait time,” says Karen Donoghue, dean of students at Fairfield. UConn is working on creative ways to reach more students with less staff, including group counseling that focuses on mindfulness and teaching skills for coping with anxiety. “We need to do a better job preparing students adequately for college,” said Yale’s Brackett. “When kids get their acceptance letter, they think, I’m going to be the happiest person in the world. They’re not thinking of the reality, having a new roommate, the social pressures, the academics,” he said. 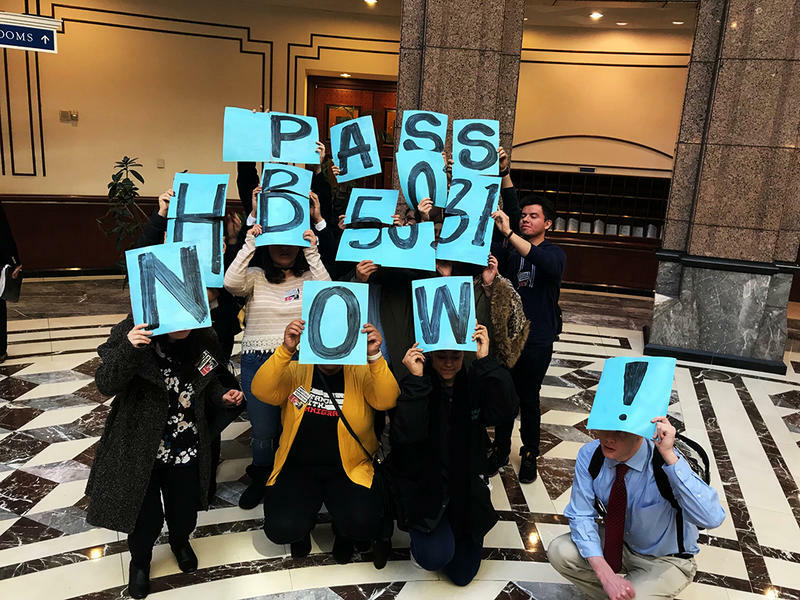 Right now, every student at a public college in Connecticut, including those who are undocumented must pay a portion of their tuition towards a financial aid fund. But undocumented students are not allowed to apply for the aid they help to fund.